In December 1969, Wisconsin Senator Gaylord Nelson hired 25-year-old Denis Hayes to organize a national teach-in about the environment. Just four months later, on April 22, more than 20 million Americans across the country participated in celebrations and demonstrations — the largest in American history — demanding political action to protect the environment. Their grassroots call to action led to groundbreaking national legislation and created a new consciousness about the fragility of the earth’s resources. The collective strength of the public’s outcry gave Washington a mandate for environmental action. In the years that followed, Congress was flooded with environmental legislation. Between 1972 and 1974, Congress passed the Clean Water Act, Marine Mammal Protection Act, Coastal Zone Management Act, Endangered Species Act, Energy Supply and Environmental Coordination Act, Forest and Rangeland Renewable Resources Planning Act, and the Safe Drinking Water Act. Earth Days looks at the road to April 22, 1970, to the dawn and development of the modern environmental movement through the extraordinary stories of the era’s pioneers — among them Former Secretary of the Interior Stewart Udall, biologist/Population Bomb author Paul Ehrlich, Whole Earth Catalog founder Stewart Brand, Apollo Nine astronaut Rusty Schweickart, and renewable energy pioneer Hunter Lovins. Earth Days is a meditation on man’s complex relationship with nature and an engaging history of the revolutionary achievements and missed opportunities of groundbreaking eco-activism. Bono Film & Video, INC.
Beigelman, Feiner & Feldman Associates, P.C. Used by permission of EMI and April Music, Inc.
Jeremy and Hannelore Grantham on behalf of protecting the environment. President John F. Kennedy (archival): If we do what is right now, in 1963, we must set aside substantial areas of our country for all the people who are going to live in it by the year 2000. Where 180 million Americans now live, by the year 2000 there will be 350 million of them. President Lyndon B. Johnson (archival): Either we stop the poisoning in our air or we become a nation in gas masks. 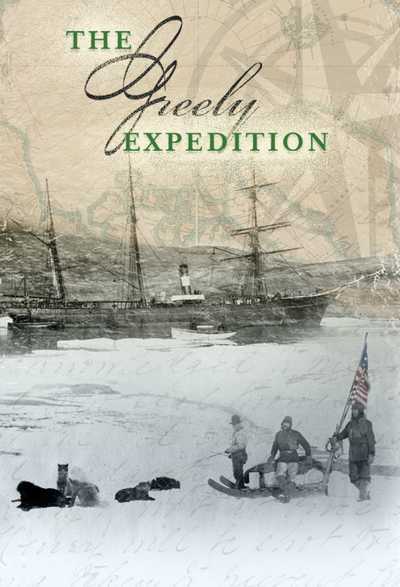 Groping our way through these dying cities and a wilderness of ghost towns that the people have evacuated. President Richard M. Nixon (archival): The great question of the ‘70s is: shall we surrender to our surroundings or shall we make our peace with nature and begin to make reparations for the damage we have done to our air, to our land, and to our water. President Gerald R. Ford (archival): And accelerate development of technology, to capture energy from the sun and the earth for this and future generations. President Jimmy Carter (archival): If we fail to act soon we will face an economic, social, and political crisis that will threaten our free institutions. President Ronald Reagan (archival): We must and will be sensitive to the delicate balance of our ecosystems, the preservation of endangered species, and the protection of our wilderness lands. President George Bush (archival): It has been said that we don’t inherit the Earth from our ancestors, but we borrow it from our children. And when our children look back on this time and this place they will be grateful. President William J. Clinton (archival): If we fail to reduce the emission of greenhouse gases, deadly heat waves and droughts will become more frequent, coastal areas will flood and economies will be disrupted. That is going to happen, unless we act. President George W. Bush (archival): And here we have a serious problem: America is addicted to oil. Stewart Udall, The Conservationist: I am 87 years old. I was a child during the Depression. The Great Depression had an enormous influence on the lives of all of us that experienced it. I lived in the country; I’m a country boy. Small town kid. We didn’t have electricity, we learned to live simply and get our sustenance from the earth. I didn’t own a car until I was 27. I grew up with conservation because it was important for our lives. 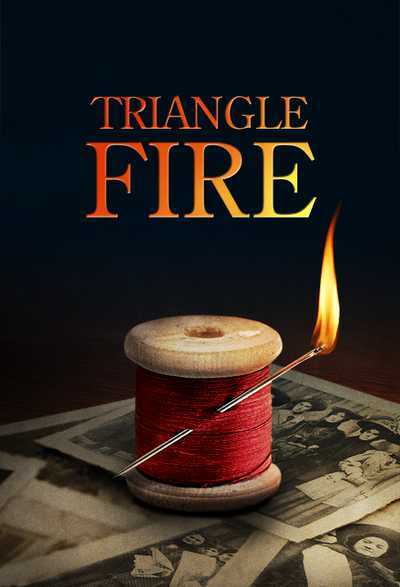 Then after the war, everybody thought they ought to have a chance to be rich. Stewart Brand, The Futurist: There was an enormous economic boom going on after the war, there was this “progress is our most important product” feeling to the 1950s. And I was one of many relatively spoiled children of that, compared to the people who grew up in the Depression. When I was a kid growing up in Rockford, Illinois, I was reading Outdoor Life and I took the Conservation Pledge. “I give my pledge as an American to faithfully defend from waste the natural resources of my country—Its soil and minerals, its forests, waters and wildlife.” That was me, at age 10 or something like that. I got rubber stamps that I put on all of my books that said that. And I guess like a lot of that generation I saw pieces of that childhood destroyed in one way or another you couldn’t go back to. Then you get that sense of angst, well, how much of this process of loss is going to go on? Dennis Meadows, The Forecaster: I grew up in a beautiful Midwest town. You drove around and it was a green, peaceful, relatively intact system. I really never was confronted by issues of scarcity, pollution, man’s impact on the planet. These things just didn’t come up for me. In those days, environmental problems didn’t really impress themselves on you. It wasn’t clear that we had any very serious problems. Hunter Lovins, The Motivator: Americans want to believe in a future that is expansive. That is better than the past. When I was a kid, the year 2000 was 40 years in the future. And the sort of thing that the futurists were all laying out was almost unimaginable. That never seemed to me to be a particularly interesting way to live. I always thought and kind of held a mental model, that somehow we would all find a way to live in something more like a New England village. We would know our neighbors. We would have genuine say in decisions that were made that would impact our lives. This always seemed to me, a far superior future. Stewart Udall, The Conservationist: I voted for the Interstate Highway program, which I see now as a great mistake. I was a freshman Congressman; you went along for the ride. The vision we had was super-abundance. There was no discussion of how much oil we had. There was just the assumption that it would always be there and they would always be finding more oil, and oil would be cheap. So the automobile culture that we adopted began to gain strength. Let the trains and public transportation go. That’s what we did in most parts of the county. This was the future. The individual. The automobile. Pete McCloskey, The Politician: California has been the heart of much of the environmental leadership in America. Every day we see something that we grew up with our youth that we treasured that is lost. Southern California was a beautiful place, small towns, orange groves, mustard fields, and then the metropolis of Los Angeles. We had the finest transportation system in the world, electric trains. You could go anywhere: San Bernardino to Santa Monica. My dad commuted to work from South Pasadena every day of his life. We’d had steady development since the end of World War II in 1945 and by 1950 when I was up at Stanford, they had to close down high school baseball games because the air had grown so smoggy as a result of the automobiles and the vanishing of the great electric trains. What happened to Los Angeles in my lifetime is that it became one huge suburb. Paul Ehrlich, The Biologist: Ecology means the study of organisms in combination with their environments. We take groups of organisms put them in their environment and try and understand what’s happening. My original interest in human population developed when I was an undergraduate at Penn in the ‘50s. As a biologist, the thing that I saw first was when I was in high school they were doing so much building of subdivisions for more and more people in New Jersey and spraying so much DDT around that the butterflies I was interested in studying were disappearing. That tied very directly to population, as do almost all of our other environmental problems. Denis Hayes, The Organizer: I was born into a papermaking family. So, my youth was surrounded by the felling of trees and by paper mills that produced vast quantities of uncontrolled sulfur dioxide and hydrogen sulfide. I think I probably have a bit of diminished lung capacity that grew out of breathing all of that acid for all of those years. There is probably some Freudian rebellion against my father that was part of it. So I was intensely aware that there were these destructive things going on to the land around me but I guess as I was growing up it wasn’t something that I thought of as, as a question. I mean, this was just progress. There is something much more insidious with things that are not so visible and nevertheless have dramatic impacts. Like nuclear fallout from atmospheric nuclear tests. When I was born, Strontium-90 didn’t exist. By the time I was a teenager every living creature on the planet had Strontium-90 in its bones or its shells. That is a fairly profound change and we’d done it. Stephanie Mills, The Radical: It felt to me like the preciousness of life was in imperiled. Subconsciously, I may have understood that my way of life you know, the sort of middle class American way of life was imperiled. I couldn’t have articulated it then ‘cause I didn’t understand all the connections. Bear in mind that as a child I was, you know, trained to hide under my desk in the event of a nuclear explosion. Living with the possibility of the bomb is foundational to this idea that human extinction has been put within human grasp. Rusty Schweickart, The Astronaut: The mushroom cloud was the icon of my generation; that image was in every classroom I went to as a child. It was the epitome of human creation and creativity to have developed this incredibly destructive thing. And then of course there was the light side of the shadow. You know, there was this idea that was out there that the atom was going to be the salvation of humanity. Denis Hayes, The Organizer: This was the first generation that had acquired the power of a geophysical force that could force brand new radioactive substances to be disseminated throughout the entire planet. That could drive, not just a few species as we’d always done, but now literally thousands of species into extinction. That could change the climate. Dennis Meadows, The Forecaster: We’d been on this planet for several hundred thousands of years and during most of that time anybody who looked far into the future didn’t have much survival value. I mean, if you are in the midst of a battle with a mammoth or something, you don’t sit there and say, well let’s think about three years from now, you, you run. And so for a long period of time, the advantage went to those who focused on the immediate situation. And I think as a consequence of that now that we are faced with issues that will really unfold over centuries, we are genetically and institutionally ill adapted for it. Stewart Udall, The Conservationist: The concept that the planet is very fragile really came out Rachel Carson’s book. Silent Spring sounded the alarm that we were destroying the life support system of the planet. The book was a sensation; it was printed in over 30 languages. Paul Ehrlich, The Biologist: Rachel Carson has to get the main credit for modern environmental movement because she was the first one to point out one of the really serious environmental problems that was the over use of pesticides. It was the right moment, the right book, and the right personality. 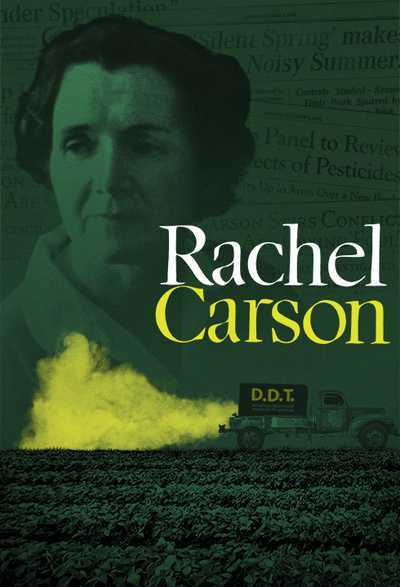 Although the pesticide industry tried to demonize her, Rachel Carson didn’t demonize easily. Rachel Carson (archival): Unless we do bring these chemicals under better control we are certainly headed for disaster. The balance of nature is built of a series of interrelationships between living things, and between living things and their environment. You can’t just step in with some brute force and change one thing without changing many others. Now this doesn’t mean of course that we must never interfere, that we must not attempt to tilt that balance of nature in our favor but when we do make this attempt we must know what we are doing. We must know the consequences. Stewart Udall, The Conservationist: There was an ugly backlash after the book came out. The chemically industries were calling her a hysterical woman that didn’t know what she was talking about. Dr. White (archival): The major claims in Ms. Rachel Carson’s book Silent Spring are gross distortions of the actual facts. Completely unsupported by scientific experimental evidence, and general practical experience in the field. Ms. Carson maintains that the balance of nature is a major force in the survival of man, whereas the modern chemist, the modern biologist, the modern scientist believes that man is steadily controlling nature. Denis Hayes, The Organizer: Something that we all thought of prior to her as better living thru chemistry in a sense. You are pouring this stuff on your crops and you are producing more crops it really wasn’t something where you thought, my goodness people are intentionally poisoning the environment and that those poisons might not be as selective as they are telling us. Stephanie Mills, The Radical: Rachel Carson was incredibly scrupulous in the creation of Silent Spring. She understood that we are organisms as much as the birds whose songs were being silenced. She wrote not only a tremendously informative book, but an incredibly moving book, and she did it while she was suffering from cancer. Stewart Udall, The Conservationist: There was a controversy that raged really until her death it was still going on and that was kind of sad because uh she was a shy person. She was not a crusader. She was a scientist. Reporter (archival): There appears to be growing concern amongst scientists at the possibility of dangerous long-range side effects from the widespread use of DDT and other pesticides. Stewart Udall, The Conservationist: President Kennedy’s science advisory group reported that Rachel Carson’s method of research was sound and her findings and conclusions were generally correct. President Kennedy backed Rachel Carson. Stewart Udall, The Conservationist: And that put the chemical industry on the defensive. Rachel Carson (voice over, archival): I truly believe that we in this generation must come to terms with nature. And I think we are challenged as mankind has never been challenged before to prove our maturity and our mastery not of nature, but of ourselves. Dennis Meadows, The Forecaster: A really profound difficulty that we confront, particularly in the West, is the degree to which people came to equate the accumulation of material goods with success and happiness. It hasn’t always been like that. The things we have to do to accumulate more goods tends to deteriorate the quality of the social system. So as we get less and less satisfaction from the social side of our lives we actually tend to put more and more emphasis on the accumulation of material goods. Denis Hayes, The Organizer: When I was 19, I took off and hitchhiked around the world for a few years. I was just profoundly depressed by the, the many ways that America was falling short of the American dream that I had been taught in my younger years. In January of 1965, I find myself in Namibia in the middle of a dessert. I was hungry, I was tired, I had been alone for a couple of years, and had in essence a sort of vision. The things that came together in my mind at that point were the human problems we were facing and the principals of ecology that guided literally everything on earth. Ecology in some large measure is the study of how populations obtain and use energy efficiently. Energy from the sun, through their food supplies. And because humans had divorced themselves in some large measure from the inflow of solar energy by tapping into fossil energy resources we’d been able to seemingly for a period of time, for a century or so, violate some of these basic principals of ecology. They by and large led us into some really unfortunate consequences. The idea here is: what do you really do to try to bring the carbon cycle back into balance? It occurred to me that we need to begin to apply the principals of ecology to the way that we build our cities, the way that we manage our agricultural system, to the way we make industrial processes. I was literally awake all night excited with this thing, and got up the next morning knowing what I was going to do. I was going to come back to the United States and I was going to become engaged in political activity and I was going to be trying to see if I could somehow insert this insight into the body politic. Stewart Udall, The Conservationist: There were no environmental laws when I became the Secretary of the Interior. The rivers of this country essentially were sewers! There was a smog episode in New York City that killed a large number of people. Air pollution that killed people. We made, during the 1960s, the first list of endangered species and what was at the top of the list? The American Bald Eagle, our national symbol. Stephanie Mills, The Radical: Like lots of others in my generation, I thought that all of the beauty was going to be destroyed. I thought that cheesy suburbs would overrun the fields and the hills. It was a sense that we were finalizing our alienation from nature and poisoning the planet. And I didn’t want to live in a world like that. Denis Hayes, The Organizer: When I was growing up progress was defined by growth and gross national product. That you could see the gross national product grow ever higher at the same time that there was this growing recognition that life was, in some very important ways, getting worse as we progressed. Our air and water were polluted. Our most beautiful natural places were being destroyed. Cities were becoming increasing unlivable; food was becoming increasingly processed to the point where it was neither nutritious nor enjoyable. And on and on. All of which contributed to this sense of progress, but at the same time people had a mounting discontent. 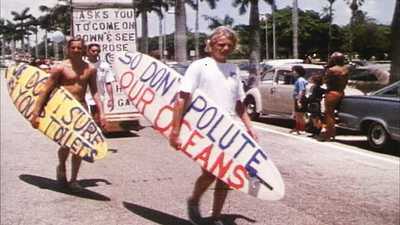 That in some sense was the great underlying engines of launching the environmental movement. Stewart Udall, The Conservationist: The environmental movement that grew out of Rachel Carson’s book was built on the foundation of the conservation movement. There were big issues like preserving the Everglades and not putting an airport there, the National Wildlife Federation was right in the forefront of this. 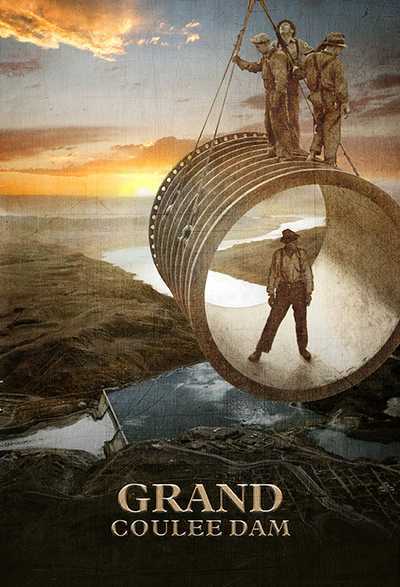 There was a big proposal for dams in the Grand Canyon—can you imagine damming the Grand Canyon? This was raised into a big national issue, particularly by the Sierra Club. And I was persuaded as Secretary of Interior that the project should be abandoned. 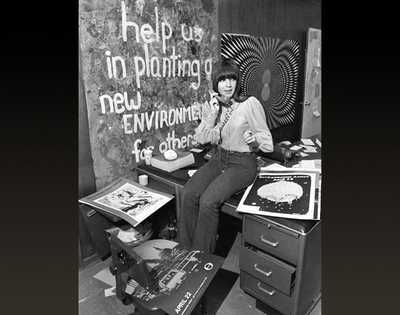 The environmental movement enlarged the conservation movement. It enlarged it beyond concern for the management of United States’ resources to the future of the planet itself. Stephanie Mills, The Radical: What really alarmed me about the state of the planet’s ecology was a book by Paul Ehrlich on overpopulation. It just made perfect sense to me that, that human overpopulation was driving the degradation of the quality of life. Paul Ehrlich, The Biologist: When I was born there were 2 billion people on the planet. When I wrote The Population Bomb in 1968 there were 3.5 billion people on the planet. That number has now almost doubled we’re over 6.5 billion people. And people say, “well, population growth is slowing down, we are only going to add if we are lucky another 2.5 billion people.” Well, 2.5 billion people is more than there were on the entire planet when I was born. Paul Ehrlich (archival): The population situation is bad beyond what any demographer even dreamed of 25 years ago. What about the resource situation in the world? The most important resource to all of us, of course, is food. Stewart Brand, The Futurist: Paul Ehrlich’s book The Population Bomb came out in the late 60s, he was instantly famous, he was instantly controversial. Paul Ehrlich (archival): Some time in the next 15 years the end will come and by the end I mean an utter breakdown of the capacity of the planet to support humanity. Stewart Brand, The Futurist: I’d been a student of, of Paul Ehrlich’s at Stanford. I trusted him and liked him. I bought it completely. It was a global perspective which was interesting because many of the things that environmentalists were doing was not so global. Paul Ehrlich (archival): You can be absolutely sure that we have had it. Everybody who has looked at the overall population resources environment picture comes up with the same kind of estimate of what would be required if we’re to have a 50/50 chance of getting through the next couple of decades with civilization intact. Stephanie Mills, The Radical: He grabbed the thorniest thistle of all: which is us, you know. Human reproduction. I was totally galvanized and I went to my dorm room and just sort of blasted out a draft of this speech to deliver at commencement titled “The Future is a Cruel Hoax”. It was pretty drastic rhetoric, I said you know, mankind’s moved across the face of the earth like a great unthinking, unfeeling cancer and that the most humane thing for me to do would be to have no children at all. I was a media figure overnight. It was personal I said, “I am not going to have a child.” This is very serious. And I was a woman saying it. Stephanie Mills, The Radical: I went around gave 80 speeches in a year. Stephanie Mills, The Radical: The pill had just recently become available, so this is something that I can do as an act of conscience. Stewart Brand, The Futurist: We had a lot of allusions about earth. One of them was that it was basically flat and infinite with no finitude to our resources. And we had very stereotyped ideas of what the earth looked like from space. If you look at all of the images, that people made before we had the photographs, almost none of them have clouds. And weather and climate. There is such a thing as icons. And icons help frame peoples thinking. My sense was that a photograph of earth from space would be different in every possible way from a painting of the earth from space. In 1966, I took some LSD on a rooftop in San Francisco. I noticed that the buildings of downtown were not parallel to one another. It was as if you were looking with a fish-eye lens; they had a slightly divergent quality to them. And so I am basically mentally elevating myself higher and higher and higher until the horizon closes around me like a circle. What I am looking at is the surface of a sphere. I was just trying to call forth that reality. And what I though was, when taking my 100 mikes of LSD on a rooftop, “I know, I’ll just make a button.” And I come up with a phrasing that I like, “Why haven’t we seen a photograph of the whole earth yet?” I’ll distribute the button through the world and everybody will understand that we need to see a photograph of the whole earth and when we do everything will be different. So I printed up a bunch of these buttons and I went round to various universities and sold the buttons for 25 cents a piece. I sent them to Buckminster Fuller and Marsha McLuhan and all those senators and their secretaries that I could find. I sent them to various professionals at NASA, and Polit Bureau members in Russia. I just, you know, floated this stuff out there to see what would happen. Stewart Brand, The Futurist: The Whole Earth Catalogue had basically appropriate technology as our contribution. Photo-volt-take, things that you could put on your roof that you would get 12-volt power out of that was deemed appropriate technology. Putting something in a creek that would pump water was appropriate technology. Geodesic domes and solar equipment. Organic gardening in that sense was appropriate technology. People were going back to the land, back to basics, reinvent civilization, get it right this time and the sense was it was almost going to blend with nature. Stephanie Mills, The Radical: The idea of going back to the land is to become more capable of providing your own subsistence and to reduce your impact and your complicity in long chains of supply. It was saying, “Our way of life has to change.” And I loved all that because it was radical. Stewart Brand, The Futurist: By and large the people who were starting rural communes, people who were going quote “back to the land” in the 1960s and on into the 1970s were pretty much liberal educated college students. The naïveté that was carted from college campuses out to these places in the bush was breathtaking. People tried to garden imagining that they could just put seeds in the ground. Where we have a nobody’s-in-charge, put-all-of-your-money-into-the pot kind of social economic environment, and that would crash and burn. The women would leave and the men would leave soon after, all of us who went out and tried to live together in a totally egalitarian-mode got over it. Because we had our noses rubbed in our fondest fantasies. And it only took us a couple of years and we did no great harm in the process. Hunter Lovins, The Motivator: It was tempting to try to throw out everything and start over. I thought about that and tried various efforts at it; lived on a commune and thought about simply retreating back to the hills and spent some time in the mountains of Virginia way out on a mountaintop. None of that seemed to be an answer. The world around us is pretty much the world we are going to have. We are either going to work with that or we are going to lose. Stewart Brand, The Futurist: One peculiarity of the counter culture in the ‘60s is that it was inherently really anti-technology. I think it thought technology came from government, it came from corporations and we are going back to basics we don’t need technology. Except our Hi Fi’s, of course, and our drugs. Those could be the more technically refined those were the better, but by and large technology was supposed to be bad. So much of the counter counter-culture disapproved of the space program. These military guys with crew cuts, it was the government wasting money, let take care of things here on earth before we leave it. All of this kind of rhetoric was out there except for one guy: Jacques Cousteau, the oceans guy. He had a better sense of the sphere-icity of the earth probably better than any surface-bound person at that time. What he knew was that the oceans, 2/3, 3/4 of the planet you could not monitor and yet terrible things were happening to it. So his sense was that you had to have satellite imagery and people looking down on the earth from outside in order to protect the oceans. He just said we’ve got to get out there. We totally identified with it, the whole world identified with it, and the whole world was proud of it. Once you’ve got pride, I learned this in the army, a whole bunch of things that seemed impossible start to seem not only possible, but let’s get on with it. There was a sense of engineering accomplishment of being able to set a damn near impossible goal and then just haul off and, and do it. Rusty Schweickart, The Astronaut: As an astronaut I was really emotionally invested in what was happening with the planet. Being who I was and not just blasting my little pink body up into space but being able to look back with my human eyes and brain and my heart and see this planet below me, to me, you know technology has clearly both good sides and bad sides its how one uses it. Apollo 9 was the first flight that flew the lunar module, and I was the first lunar module pilot. And I also went outside the lunar module and it would be the first time that a human being went outside the spacecraft without an umbilical. Dave’s in the command module, hanging out of the hatch with a movie camera when all of a sudden, he says “uh hey, hold on my camera just jammed.’ So, Jim says, “Well I’ll give you five minutes. Rusty just stay right there.” I’m just floating there almost as if I’m naked in space. And all, all of this stuff starts coming into my mind: I’m here because life has evolved on this planet, we’ve developed brains which enable us to invent machines. In combination with those machines we are able to extend our environment and here I am on the frontier of this evolutionary process. What am I? I’m a representative of life moving out into the universe. So the idea of mother earth, that phrase has real meaning, from the outside you can look back—the child now sees its mother. We human beings, we this life form on this incredible planet, it’s coated with life, where are we going? Stewart Brand, The Futurist: The photographs of the earth from space were a different kind of mirror than we had ever looked in before. It flips you from the world that we are in, to a planet that we are on. Denis Hayes, The Organizer: The image I think was maybe the most reproduced image in American history. We suddenly realized that the earth was a very small thing. Much as if you live on an island you are much more acutely aware of the limitations of your resources and on your ability to pollute. That photograph of the Earth in this vast sea of space that did pretty much the same thing for the whole planet. Senator Gaylord Nelson (archival): If the people really understood that in the lifetime of their children they’re going to have destroyed the quality of the air and the water all over the world and uh perhaps made the globe unlivable in a half century they’d do something about it. But this is not well understood. Stewart Udall, The Conservationist: Senator Gaylord Nelson was one of my very best friends. He was a great Governor of Wisconsin and he was a great conservationist. He was the one who said, “Well, why not have teach-ins about the environment all over the country?” and this is what became the first Earth Day in 1970. Denis Hayes, The Organizer: Gaylord cared passionately about conservation issues throughout his entire career. Denis Hayes, The Organizer: He had decided to set up a steering committee to make this begin to happen. He’d enlisted already Pete McCloskey a Republican congressman from California who was an ardent environmentalist to co-chair it with him. Pete McCloskey (archival): The preservation of the environment is going to have to be a very top item for that reason I am just delighted to support it. Pete McCloskey, The Politician: The Republican party in my lifetime had been an environmental party, but man by 1970 it was hard to find Republicans that put the environment anywhere in their top five list of priorities. But Gaylord wanted it to be bi-partisan. So he said, “Pete will you be co-chairman?” Well, will I be co-chairman? It meant everything that I wanted to do in the world. So I think it was in December-January of 1970 that we hired Denis Hayes to be the director. And Denis comes to Washington with about 20 or 30 kids that are about 18 to 22 at the oldest and they sent out newsletters all over the country to every student body president, 10,000 high schools, a couple of thousand colleges, would you like to have an Earth Day on April 22? Denis Hayes, The Organizer: What we were trying to do was to create a brand new public consciousness that would cause the rules of the game to change. 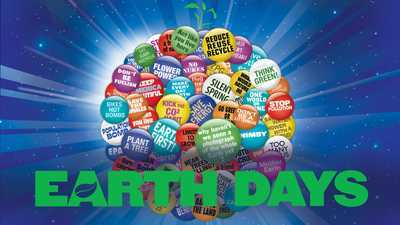 It was somewhat ironic for something named Earth Day to be entirely focused on the United States but remember we had virtually no money. We had incredible aspirations but there was no world wide web, there was no Internet, there were no blogs, there was no email, no instant messaging, there was none of the kind of web activism that is possible today. The newsletters that were sent to people across the country were all printed by the United Autoworkers. The United Autoworkers were the largest single contributors financially, and otherwise to Earth Day. Earth Day Public Service Announcement (archival): Ever notice that even on a clear day in New York there is a dark cloud hanging over your head? Soot and carbon. Ever take a good look at the Hudson River? How’d you like to drink it? Half of the sun in New York is cut out from the carbon from cars. Pollution comes right through your air conditioner and you inhale more than a pack a day, even if you don’t smoke. And there are already more rats in New York than people. By 1980, you will need a gasmask and a flashlight to get to the office. There won’t be any birds or bees or trees unless we stop what we are doing, we are going to kill ourselves. April 22nd is Earth Day. It can be the beginning of the end of pollution or the beginning of the end. James Ridgeway, Hard Times (archival): Mr. McCloskey isn’t this just really a mask, to cover up the major problems of Vietnam and Civil Rights in this country? David Culhane, CBS News (archival): Well, won’t this in fact deflect people from Vietnam as a cause? Reporter (archival): Why an environmental teach-in? James Ridgeway, Hard Times (archival): Now what’s the point in putting more money down the drain with this kind of stuff? David Culhane, CBS News (archival): That might involve cutting back on things like air conditioning? Reporter (archival): Are you going to get liberal support for this? James Ridgeway, Hard Times (archival): How will you deal, in effect, with the women’s liberation movements? David Culhane, CBS News (archival): Is there any concern in your mind that this may just be a fad? There are practically no black people involved. Reporter (archival): Okay, we are out of time. Thank you very much gentleman for being here with us today on Face the Nation. Denis Hayes, The Organizer: By and large, we created a juggernaut that everybody was willing to embrace at least stylistically and superficially. Though a great many of them did not begin to understand the depth of the changes that we were seeking. So we were not particularly shocked by the fact that in his 1970 State of the Union speech, Nixon brought up environmental issues. President Richard M. Nixon (archival): Restoring nature to its natural state is a cause beyond party and beyond factions. It has become a common cause of all the people of this country. It is a cause of particular concern to young Americans because they, more than we, will reap the grim consequences of our failure to act on programs, which are needed now if we are going to prevent disaster later. Stewart Udall, The Conservationist: I know from some of his aides I talked to there was a big argument and they said, “Look this is a powerful movement and it is going to get more powerful. There is an Earth Day coming up in a few weeks. Proclaim that you want the 1970s to be the environmental decade.” Nixon did it! Denis Hayes, The Organizer: The Earth Day offices were wiretapped by the FBI. And interestingly also by military intelligence. Lord knows what they thought we were doing! News Anchors (archival): Do you consider yourselves revolutionaries? Is this a revolutionary movement? What are you talking about? A new a new form of government? A new religion? What are you talking about? What are your priorities? Denis Hayes, The Organizer: It was wild and exciting and out of control. And the sort of thing that lets you know that you’ve really got something big happening. Dan Rather, Reporter, CBS News (archival): The White House invited the national organizers of Earth Day to drop by for a chat. They refused. Christopher DeMuth, the President’s 23-year-old assistant for environmental affairs, blames Denis Hayes, the National Coordinator of Earth Day saying that Hayes was more interested in an anti-Nixon publicity stance than in ensuring that the observance was truly non-partisan. Denis Hayes, The Organizer: At the time that it all happened, I think Nixon who by all accounts didn’t have an environmental nerve ending anywhere in his body, viewed this as a political chess move. President Richard M. Nixon (archival): We’ll try to play all cameras; I’ll play a little bit moving around here as we go along, in case you want to use it. Okay. I have sent to the Congress today a sweeping set of proposals to clean up our nation’s air and water. This is the most far reaching and comprehensive message on conservation and restoration of our natural resources ever submitted to the Congress by a President of the United States. We are taking these actions, not in some distant future, but now, because we know that it is now or never. Denis Hayes, The Organizer: I began Earth Day with a sunrise ceremony in Washington, D.C. Then I flew up to New York. Mayor Lindsay had shut down 5th Avenue and we basically filled it all up. The fact that we managed to have our largest event in what was then the center of all media coverage was advantageous. 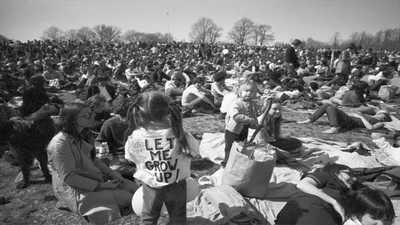 Denis Hayes, The Organizer: Nationally, Earth Day was the largest demonstration ever in American history. Some events had half a million people in them and we had an estimated 20 million across the country. Walter Cronkite, CBS News (archival): Some quarters saw more than coincidence in the fact that Earth Day occurred on the 100th anniversary of the birth of Lenin, the father of Soviet communism. The Comptroller General of Georgia James Bentley sent out some $1,600 worth of telegrams warning that Earth Day might be a communist plot. Denis Hayes, The Organizer: There were certainly people who had their pet causes. Some pounded vehicles apart with sledgehammers as a protest against the internal combustion engine. Others wore gas masks to protest air pollution, but also there was an almost celebratory thing where it was as though we were being awakening to a new set of opportunities. Denis Hayes (archival): They are talking about emissions control on automobiles, while we are talking about bans on automobiles. We are challenging the ethics of a society that with only 6% of the world’s population accounts for more than half of its utilization of resources. Our country is stealing from the poorer countries of the world and from generations as yet unborn. Hunter Lovins, The Motivator: To me, Earth Day was life changing. 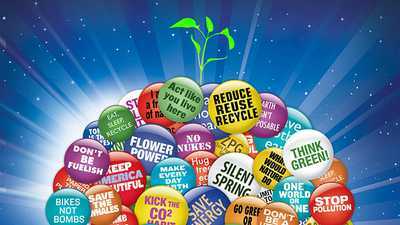 There were around the country millions of people engaging in some act of caring for the earth. I realized that there was a massive group of people who cared very deeply about the earth and if organized could be a viable political movement. At that point, I ceased to be an anti-war activist and became an environmentalist. Senator Edmund Muskie (archival): I’ve been at three of these gatherings today and let me say this to you, that you can’t stand in front of a group like this without feeling the power which can flow from it. And so what we must do is make every day Earth Day. Daniel Schorr, Reporter, CBS News (archival): It was from Washington that a 25-year-old Denis Hayes started to organize this nationwide thing and it is here that he has returned tonight to say that thing is now a movement, and like Vietnam, an anti-establishment movement. Denis Hayes, The Organizer: It was a huge high adrenaline effort that in the end genuinely changed things. Before there were people that opposed freeways, there were people that opposed clear-cutting, or people worried about pesticides. They didn’t think of themselves as having anything in common. After Earth Day they were all part of an environmental movement. Public Service Announcement, Keep America Beautiful (archival): Some people have a deep abiding respect for the natural beauty that was once this country, and some people don’t. People start pollution, people can stop it. Denis Hayes, The Organizer: Immediately after Earth Day, we chose to get involved in something that we hadn’t really paid any attention to before Earth Day—organized formal politics—elections. We came up with a campaign called the dirty dozen that targeted 12 members of congress with terrible environmental records. Denis Hayes (archival): The dirty dozen are: E. Ross Adair of Indiana, William Ayers of Ohio, William Cowger of Kentucky, David Dennis of Indiana, George Fallon of Maryland, John Kyl of Iowa, Earl Landgrebe of Indiana, Odin Langden of Minnesota, Byron Rogers of Colorado, Henry Shadeberg from Wisconsin, Lawrence Winn of Kansas, and Roger Zion of Indiana. Denis Hayes, The Organizer: We beat seven of the 12 members of the Dirty Dozen, including the Chairman of the Public Works Committee, a guy named George Fallon out of Baltimore who was funding all kinds of environmental monsters. People were saying, “You took out George Fallon? !” I mean he was clearly one of the three or four most powerful members of congress. Pete McCloskey, The Politician: And when Congress reconvened in January everybody said, “I’m now an environmentalist!” I mean there was a force out there that had taken out seven incumbents. Various Congressmen (archival): We propose the establishment of a joint House-Senate committee on the environment to expand the congressional capacity to deal with environment—The frightening hazards and environmental offenses over which we have had little, up ‘til this time, in the way of control. Daniel Schorr, Reporter, CBS News (archival): President Nixon sent this report to Congress today an assessment of the nation’s environmental problems and ideas on how to solve them. He sounded the familiar warning of ecological disaster, but counseled against panic or hysteria. Pete McCloskey, The Politician: In the next four years, ‘71-‘74 we passed Clean Water, Clean Air, Endangered Species, Estuarine Protection, Coastal Zone Protection, Marine Mammal Protection and a lot of that went through my little subcommittee. Stewart Udall, The Conservationist: I think President Nixon was looking forward to the next election. Was he going to veto the Clean Air Clean Water bill? No! He signed it with a flourish! And then proposed the creation of what is now, still, the Environmental Protection Agency to enforce these pollution laws. We got environmental impact statements; you had to look at the downside as well as the upside of any technological project. That was revolutionary because it gave people the power to challenge unlimited technological growth. Nixon deserves credit for what he did and I’m not sure he fully understood it but he got behind it. Dennis Meadows, The Forecaster: In the 70s, in the United States we did clean up quite a few lakes and we did reduce the air pollution in quite a few cities, but there was essentially no progress on the global problems. Things like climate change, depletion of the marine fisheries, ocean fisheries, population growth and so forth. There has always been the notion that we will be able to sustain our current trajectory in living standards and material consumption. And moreover, that all of the poor people in the world are going to be able to catch up with us. The entire discipline of economics, macroeconomics, is based on the assumption that output is going to continue to grow, living standards are going to continue to grow, and so forth. Paul Ehrlich, The Biologist: The economy can’t keep growing forever. The idea that somehow the gross domestic product of the United States should double in the next 50 or 100 years or something is just nutty. Economists have clearly shown that once you have your basic needs fulfilled uh that further economic growth and consumption doesn’t supply any more satisfaction. Americans aren’t any happier today or more satisfied than they were in 1950 despite the growth we’ve had in our economy. Dennis Meadows, The Forecaster: Most of us don’t have an experience of growth the way it’s impacting the planet because you get up every morning and look around and it seems to be pretty much as it was yesterday. Our species just naturally tends to assume that change happens more or less linearly: one, two, three, four, five, six. Like that. But in fact, the problems that are causing environmental deterioration arise out of exponential growth, which is where instead of going up by a constant amount over some time period; it goes up by a percentage over some time period. I’ve tried to illustrate what this means with a very simple example, I bring out a tablecloth, is show it to everybody. I fold it four times. So I am doubling the thickness of the tablecloth four times. And I let everybody see it, and I say suppose that is half an inch thick, not much. If I were to fold it another 15, 16 times, how thick would it be? Now I can’t actually, but suppose I could do that. When you keep doubling the tablecloth, of course it is growing exponentially, and after 21 folds it’ll be about a mile thick. If I double it another five or six times, it extends out past the edge of space. Continuing that process, rather quickly it gets you amazingly big numbers. With just 39 folds, it is already shooting past the moon. That is how quickly you get to very large numbers when a process grows exponentially. Our book Limits to Growth was the first concrete effort using a computer to look at trends that unfold over decades, even a century. We were trying to understand long-term physical demands on the planet and in the 70s we were thinking that in the period of 2010 to 2030 was when the planet would start to encounter limits. And that when you hit the limits the tendency is to over shoot them and collapse not to even out in a nice orderly fashion. The book was officially released in March 1972 and the inaugural event was a press conference in Washington, D.C.
Dennis Meadows, The Forecaster: The book was rather quickly translated into 35 languages and sold millions. It was a phenomenon. CBS Reporter (voice over, archival): Here is what Dr. Meadows’ computer shows: since the year 1900 the Earth’s resources, there at the top of the chart, have been steadily used up as population, food consumption, and production of goods have soared. Ahead of us, sometime after the year 2000, this computer study foresees calamity. Resources drop more steeply, and food and production follow suit. Population continues to expand for perhaps one more generation then collapses calamitously and depravation takes hold. Dennis Meadows, The Forecaster: I remember the first time I saw that NASA picture of earth taken over the moon. That picture somehow had the capacity to just wrench your mind around so you thought of things in a different way. Our curves did that for a lot of people. For the first time they could start to see the future consequences of what they were doing now and for many people that was really shocking. Stewart Udall, The Conservationist: I went to the first presentation. I thought it was potent and powerful. The thesis that growth had to be limited to preserve the quality of the environment, the quality of life, it’s a thesis, a theme that I still agree with today. There are limits to growth and we are bumping against them right now. Paul Ehrlich, The Biologist: Civilizations have crashed repeatedly in the past. Egypt, Mesopotamia, the classic Mayan, Greek civilization and so on. The thing that is so scary today is that we have for the first time a global civilization that is doing what many of those did: Building a huge population and abusing its environment without any thought to the consequences. Co-Host One, Controversy (archival): There can be no doubt what one subject has aroused most controversy amongst scientists during the past 12 months. I mean of course the prospect of doom for mankind because of pollution, over population, over use of resources. What is being called the eco-crisis. Hunter Lovins, The Motivator: There were various efforts to discredit Limits to Growth and to discredit Paul Ehrlich’s work and indeed much of what they said would come to pass has not come to pass. Well does that mean they’re wrong? No, what it means is all we’ve done is push off these challenge that they very rightly identified. Johnny Carson, Host, The Tonight Show (archival): Would you welcome Dr. Paul Ehrlich? Nice to see you again. Paul Ehrlich (archival): Nice to be back as always. Johnny Carson, Host, The Tonight Show (archival): You know you have been on this show half a dozen times or so, and I remember the first time you were on the show we talked about The Population Bomb and we talked about the geometric progression of the number of people that are accruing to this planet every day and I remember at that time that you said and many other population biologists and sociologists said, that the time is going to come when people are going to have a rude awakening around the world especially in the United States where they have been used to so much affluence, or we are going to run out, or there is going to be, it is going to come to a head sooner or later because the resources of the world are not finite. And all of a sudden now, people are for, I think, one for the first times in history in this country, really realize it’s happening. Gas Station Attendant (archival): All right there it is: no more gas! Lets go! Let’s go, I’m sorry. 3,000 gallons lasts about two hours. President Richard M. Nixon (archival): As America has grown and prospered in recent years our energy demands have begun to exceed available supplies. Unfortunately, our expectations for this winter have now been sharply altered by the recent conflict in the Middle East. Because of that war, most of the Middle Eastern oil producers have reduced their overall production and cut off their shipments of oil to the United States. Denis Hayes, The Organizer: King Faisal of Saudi Arabia announced an embargo of oil to the United States, which was quickly then embraced by the other Arab members of OPEC and so it became quote-un-quote “Arab Oil Embargo”. Oil at that point cost $4 a barrel it is hard to remember that America was really built on oil that cost between $2-$4 a barrel. The price rapidly shot up, getting up to over $16 a barrel a 400% increase. The price of gasoline quadrupled within just two months. There was a degree of desperation because of shortages of supplies. People couldn’t get gasoline. Gas lines would stretch on for half a mile sometimes. We were driving these big cars, absolutely reliant on them and you couldn’t find gasoline. So they started rationing. Man on the Street (archival): I can’t see the United States running out of anything but maybe I’m just prejudiced that way. I think the United States should be able to have plenty of anything. Hunter Lovins, The Motivator: The United States recognized for the first time that our standard of living could be held hostage by people half ways around the world. With good policy this could have been the initiation of a transition to a, to a renewable society. That in itself was not a new concept, in the early 1950s a government commission called the Paley Commission urged a transition as rapidly as possible to renewable energy, to solar energy, to energy efficiency as a matter of national security. Of course we ignored them. President Richard M. Nixon (archival): The United States of America, as the greatest industrial power in the world, with 7% of the world’s people, and using 30% of the world’s energy shouldn’t have to depend on any other country for energy that provides our jobs, and our transportations, and our light, and our heat. We can become self-sufficient. This is a great project and I am going to push it. Thank you very much gentleman. I guess that’s it. Dennis Meadows, The Forecaster: I remember when Nixon stood up and announced Project Independence. Every President after him announced some sort of energy independent program, and of course they all had more or less the same result. But these were, these were peripheral responses, they didn’t get to the heart of it. And never did. Denis Hayes, The Organizer: The energy market at that time was a market that was a combination of guaranteed monopolies, cartels, and insurance and price subsidies favoring the largest, the most powerful, the most wealthy, and I will say the most ruthless corporations in America. And they had just a strangle hold on Congress. Electric utilities were the largest monopolists in the country. There was only one way to buy power. So historically you have one set of hugely powerful interests defending their preeminence and on the other hand, a bunch of solar entrepreneurs operating out of their garages with virtually nothing. It’s like me going into the boxing ring with Muhammad Ali, it’s just not a contest. Man in voting booth (archival): It’s done! Pete McCloskey, The Politician: Development and economic progress has been at the heart of congressmen and there is generally a lot more money from the energy companies than from the developers. So the environmental movement may be viewed by most of the public as important, but to the politician who’s elected, who gives them the money? There’s no benefit to them in looking at the solution of long-range problems, like global warming or the conservation of energy. It’s a short-term problem that he’s got to address to get re-elected. Follow the money. Hunter Lovins, The Motivator: Many of us believed that if you just elected the right people and they passed the right laws, if you could bring a case to court and get a ruling then everyone would have to be good. Well, no. People said, “You can’t make me do anything.” And that in part, set up a, a conflict that to some extent endures to this day. Man on the Street (archival): Just look around. All the land is going into parks and if it all goes into parks and we just won’t have no timber, and jobs will go and housing will go sky high. This area will become practically a ghost town. Stewart Brand, The Futurist: And so as a result, what you got instead of some engagement that might have lead to better forest practices right away, you got a stand off that lasted decades. 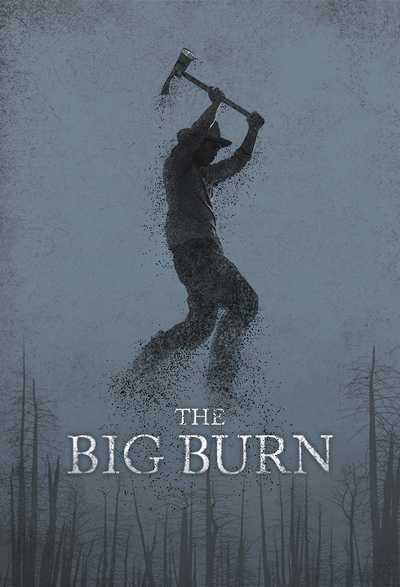 Then you have to ask yourself, “Is the thing that we want to make a big fuss and feel righteous, or is the thing that we want better forest practices?” Which is a completely arguable thing for people who would not only like to keep their jobs as loggers, but also keep these rural communities keep going ‘cause logging is what they do. Sustainable logging looks to them like a good thing: put in those terms, but put in the terms of “stop what you are doing, you bad person you,” that doesn’t fly. Stephanie Mills, The Radical: The environmental movement was becoming more professionalized and Washington-centric and to a certain extent the environmental movement developed some clout through the big national organizations, but it also became susceptible to being overpowered by bigger organizations with deeper pockets. Hunter Lovins, The Motivator: I began to recognize that much of what the early environmental movement was trying to do: to litigate to, to legislate, to lobby, in a top down fashion could buy time, it could hold off the worst, but it could never implement true sustainability. Stewart Brand, The Futurist: A whole cadre of people that I hung out with wanted to solve problems right now directly with minimum resources and maximum ingenuity. We imagined that we were outlaw designers. We had a sense that there were design solutions that could be brought to bear on everything from say solar technology to energy conservation and efficiency. We wanted to take the engineering approach and say, “Let’s just fix that!” There’s not a political fix for that but there is a technological fix for it, just do it. Don’t try to change human nature, it’s not going to change; don’t try to change politics, it’s too clueless; you can change technology and that will fix things. Human nature can stay right where it is, the politics can catch on 20 years later, but meanwhile you have fixed the problem. Hunter Lovins, The Motivator: Many large American companies had within them individuals and small groups desperate to innovate in the same way. For example, since the 60s, there were people within General Motors—I know, I’ve talked to them—who were designing super efficient cars with technologies like electricity, and hybrid electric or even hydrogen. And yet senior management, I think, had a lack of imagination and a resistance to change. There was a sense that if you just keep doing what you have always done, you’re safe. Stewart Brand, The Futurist: Probably the biggest shift in perspective I’ve ever had was going from a somewhat Libertarian, grassroots, fringe-y outsider to working in the center of power in California, which is the Governor’s office for a guy who was exactly my age who was an elected Governor of the State who was appointing my friends to various positions of power. Jerry Brown, Governor of California, 1975-83 (archival): Well, you know, I’m an activist. I think when we have problem like air pollution or kids who can’t read we do something about it. Instead of sitting around just talking, I think we ought to do whatever the governmental process can accomplish within the limits of the budget. Stewart Brand, The Futurist: Governor Brown had an office of Appropriate Technology, which I wound up being part of. We brought in people like the astronaut Rusty Schweickart, who was in a totally counter-cultural frame of reference even though he was an astronaut. Rusty Schweickart, The Astronaut: At that time I was growing a moustache and growing my hair long, you know, and so you know, I was the astronaut hippie. Well, you know, Jerry Brown, here he is a student of Rachel Carson and people like Paul Ehrlich and you know, everybody who is a part of this revolution. Rusty Schweickart (archival): My principals are simple: protect the earth, serve the people, and explore the universe. Rusty Schweickart, The Astronaut: So, I’m among friends. I ultimately became the Chairman of the California Energy Commission. It fits right—I mean the biggest impact on the environment is the way in which we use energy. The California Energy Commission led the way in to that revolution in improving the efficiency with which we control, use and generate energy. Stewart Brand, The Futurist: The Department of Energy in California has been the most intelligent energy conserving, I think, governmental body probably in the world. They set in motion the ability for people who had solar collectors or wind generators to run their meter backwards and put their locally made electricity back into the grid and get paid for it. Very early on, this is mid-1970s. Denis Hayes, The Organizer: Jimmy Carter had a terrific Energy Policy, it had the goal of getting at least 20% of the nation’s energy from renewable energy resources by the year 2000. And a series of proposed policies that had they been implemented would have gotten us there. Denis Hayes, The Organizer: He had solar water heaters installed on the White House roof. President Jimmy Carter (archival): A generation from now, this solar water heater can either be a curiosity, a museum piece, an example of a road not taken, or it can be a small part of one of the greatest ventures ever undertaken by the American people. Denis Hayes, The Organizer: He gave me the best job of my life running the Federal Solar Energy Research Institute and a budget that increased and doubled every year that I was there and the opportunity to really do some important things. President Jimmy Carter (archival): The energy crisis has not yet overwhelmed us, but it will if we do not act quickly. It is a problem that we will not be able to solve in the next few years; it is likely to get progressively worse through the rest of this century. We must not be selfish or timid, if we hope to have a decent world for our children and our grandchildren. We simply must balance our demand for energy with our rapidly shrinking resources. By acting now, we can control our future rather than letting the future control us. Hunter Lovins, The Motivator: Carter, I think, made a fundamental mistake, which was he saw the transition as one of constraint and of one of privation, and of giving up, and of lowered lifestyle. Denis Hayes, The Organizer: In a period from 1973 to 1980 the price of oil went from $4 a barrel to $30 a barrel. And that clearly was enough to cause the public to support things like fuel efficiency standards for automobiles and other things that would have been inconceivable unless you’d had a crisis. Jack Lemmon, Actor (archival): I’m Jack Lemmon for the Sierra Club. America’s Energy Crisis is much more than just a fuel shortage. Bob Hope, Entertainer (archival): Believe me, today we all have to do our bit to conserve energy. It just can’t be wasted. Henry Winkler, Actor (archival): You know, at the rate the world is using its oil, we’d have to discover a new Alaska or Texas every six months. John Denver, Musician (archival): The energy problems we face are real and they are serious and they are not going to get any better unless we all help. Jack Lemmon, Actor (archival): Energy conservation is not just a band-aid solution. It is the only means that we have to keep our economy and environment healthy. Ronald Reagan, Presidential Candidate (archival): They tell us we must learn to live with less, and teach our children that their lives will be less full and prosperous than ours have been, that the America of the coming years will be a place where because of our past excesses, it will be impossible to dream and make those dreams come true. I don’t believe that and I don’t believe you do either. That’s why I am seeking the Presidency. I cannot and will not stand by and see this great country destroy itself. Our leaders attempt to blame their failures on circumstances beyond their control, on false estimates by unknown, unidentifiable experts, who rewrite modern history in an attempt to convince us our high standard of living, a result of thrift and hard work, is somehow selfish extravagance, which we must renounce as we join in sharing scarcity. Denis Hayes, The Organizer: I am much more aware now than I was earlier of the role of personalities. Who you elect as President of the United States and frankly the President of a dozen other countries really matters. With the right President and the right policies cued up and ready to be put into place we could have done something significant. It was a major failure of my generation that we didn’t get that done. Denis Hayes, The Organizer: For reasons that I just cannot even begin to comprehend, Reagan did his very best to completely shut down the renewable energy effort. In the instance of the institute that I led, he reduced our budget by more the 80%, fired half of the staff and fired all of our contractors, two of whom subsequently went on to win Nobel Prizes. It was just devastating, but for one year we did have within an element a very good energy policy. Ronald Reagan, Public Service Announcement (archival): It’s morning again in America. And under the leadership of President Reagan our country is prouder, and stronger and better. Why would we ever want to return to the way we were? Reporter (voice over, archival): The Reagan White House has finally dismantled the last vestiges of the Carter Administration. Workmen have now taken down the solar water heating system installed on the White House roof in 1979. Hunter Lovins, The Motivator: We lost 30 years. We lost 30 years because both sides ossified into their ideologies. And if we’ve learned anything it is that we are in this together. We still have a lot of options, if we haven’t passed the tipping point and this is where the science starts getting a little scary. Dennis Meadows, The Forecaster: No external force is imposing these environmental problems on us. They have arisen because every morning 6 billion people get up and have breakfast, and go to work, and do their thing, and come home at night, you know, and environmental problems emerge out of daily life and the solutions for the environmental problems are also rooted in daily life. We need 6 billion people to get up and have a different consciousness and do things differently. Is that realistic? Probably not. But it is at least the hope, or the belief that I have that has been able to sustain 35 years of work on this effort and it’s the one that I will keep for the next 10 or 20 years or as long as I am able to keep working. Stewart Udall, The Conservationist: Well, I’ve always been a, called myself a troubled optimist. I’m hopeful for the future despite the recent past in the sense that I believe that you owe a responsibility to your children, your grandchildren, and their children. That’s an important concept of the environmental movement that will always be there. Stewart Brand, The Futurist: While we are deeply engrossed with all of our little weekly issues, if we deal with them in this larger perspective, we are engaging a set of activities which go way beyond individual lifespan. Way beyond children and grandchildren, way beyond parents, grandparents, great grandparents, to the whole frame of at least human civilizational life. Once you get comfortable with that, then you start to go further out still to, 3.5 billion years back of life on earth, and maybe we’ll do another 3.5 billion years that’s pretty interesting to try to hold in your mind, and once you’ve held it in your mind, what do you do on Monday? Slate: Dennis Hayes works to promote sustainable development and renewable energy in the Pacific Northwest. Slate: Hunter Lovins trains leading institutions how to profit from environmentally friendly business practices. Slate: Dennis Meadows has continued to update his practice model of unrestrained exponential growth and societal collapse. Slate: Rusty Schweickart leads a project to defend the planet from 'killer asteroids' that could damage or destroy life on Earth. Slate: Paul Ehrlich writes and lectures the world over on the perils of human over-population. Slate: Stewart Brand is building a 10,000 year clock inside a mountain in Nevada. It is designed to expand our perception of time. Slate: Stephanie Mills lives a sustainable lifestyle in rural Michigan and is a leading advocate of Bio-Regionalism. She never had children. Slate: Stewart Udall worked tirelessly for fifty years to preserve America's natural resources and protect its public lands. He died in March 2010. Slate: Pete McCloskey continues to battle developers in Northern California. In 2007 he left the Republican Party and became a Democrat.